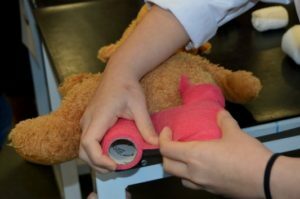 Children referred to Fostering Compassion benefit from a variety of activity-based workshops and days out, opening them up to the wonder and awe of animals and nature. We hold a wide variety of workshops and activities, and are introducing new ones all the time as demand for our service increases. We share the stories of rescued dogs, donkeys, cats, horses, ponies and bears, to name but a few. 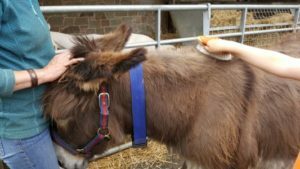 The children learn how many of these animals have not been looked after properly and on many occasions have had to change homes due to suffering abuse and neglect. 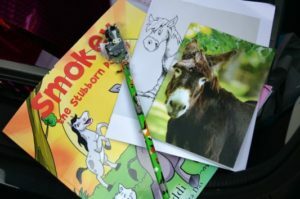 Sharing the animals’ stories often encourages the children to talk about their own circumstances, letting them know that they are not alone. The children attend our activities with their caregivers, allowing us to bring together children and carers in similar circumstances. This not only helps to provide a support network for carers, but also a safe place for children to meet others in comparable situations, giving them a feeling of ‘belonging’. Allowing children in care to come together with other children provides an opportunity for the children to thrive and to gain both confidence and self-esteem, providing a place where they can not only meet other children and have fun, but also achieve a sense of identity. It can also allow, for example, separated siblings to come together on neutral ground. Our activities let the children and carers bond as a new family unit. * The activities may vary depending on the area in which we are delivering our service.